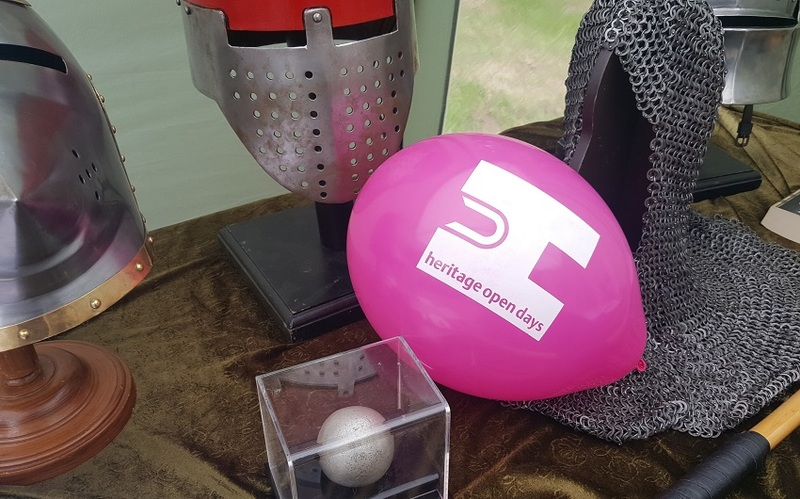 The outdoor heritage event and battlefield anniversary has always been an important part of our English Summers. 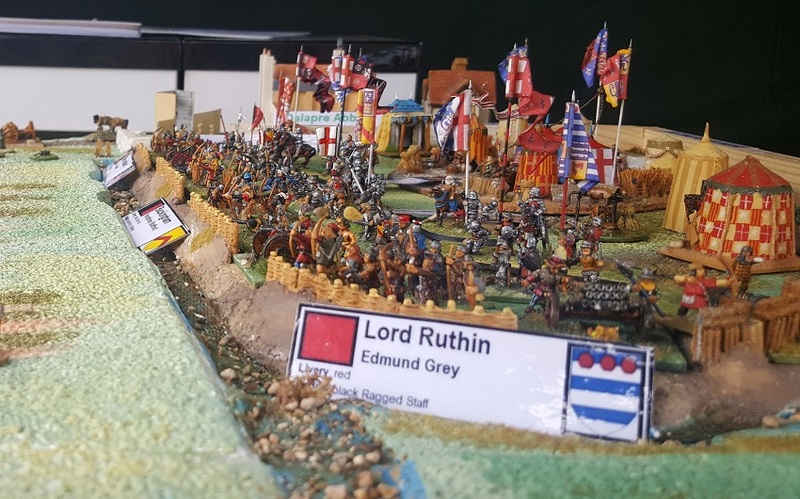 The traditional campaigning season made May to September an active time for warfare and, as a consequence, many of our historic battles took place in the Summer months. 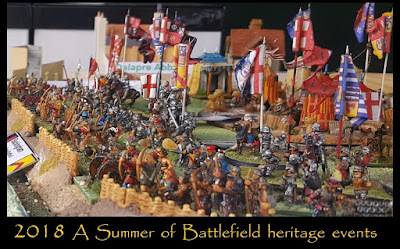 With wargame shows now happening in the Summer (when wargaming was 'young', July and August were pretty much left clear for family holidays ... ) there are plenty of clashes. 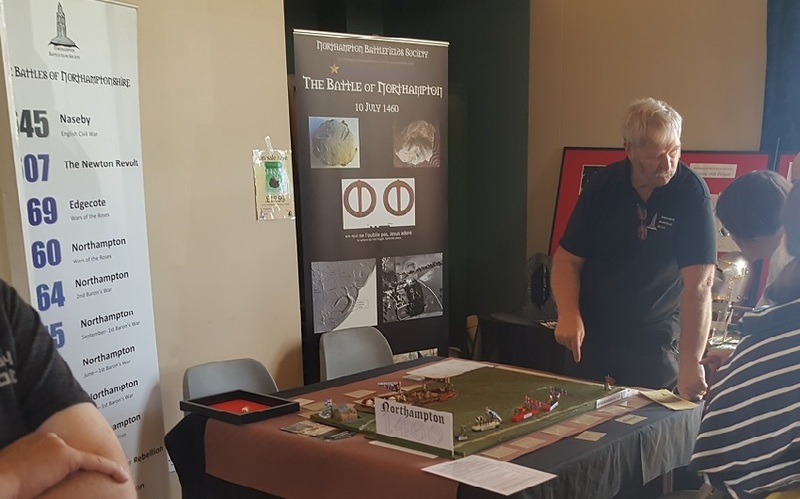 Over the second and third weekends of August we had 6 wargame shows or battlefield events to participate in - just for the East Midlands. 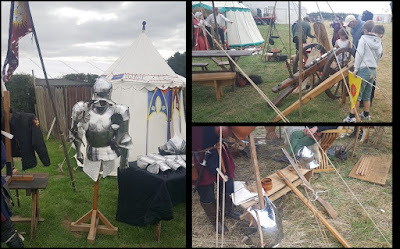 The engagement feedback shows all these activities are worth doing but it does mean both Bosworth and Partizan, for example, were 'morning's only' for me, as I swapped shifts with someone else in another part of the region. 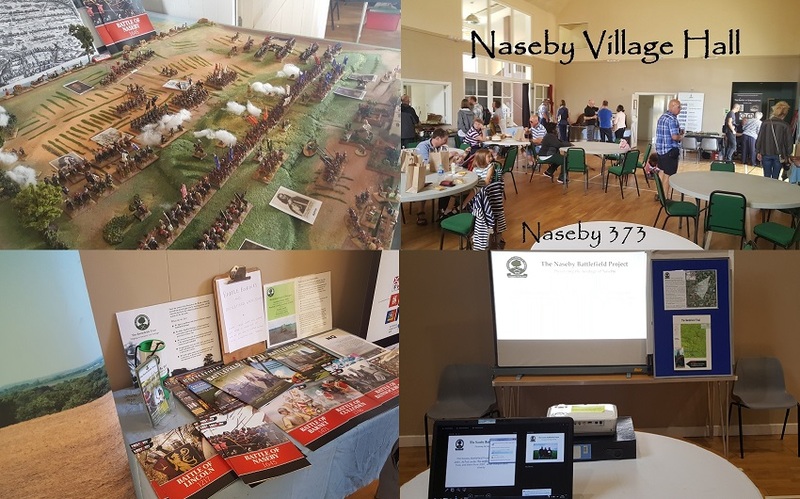 Late July saw the Sealed Knot and Naseby Project celebrating the birth of the Army of Parliament with a public event in the village. The Northampton Battlefield Society and Battlefields Trust were present and NBS were running games of Northampton 1460 to entertain visitors sheltering from the squally conditions on what was the bad weekend of a splendid Summer. We were involved in two guiding days at Fotheringhay, on with NBS and one with the Friends of Kettering Art Gallery and Museum. 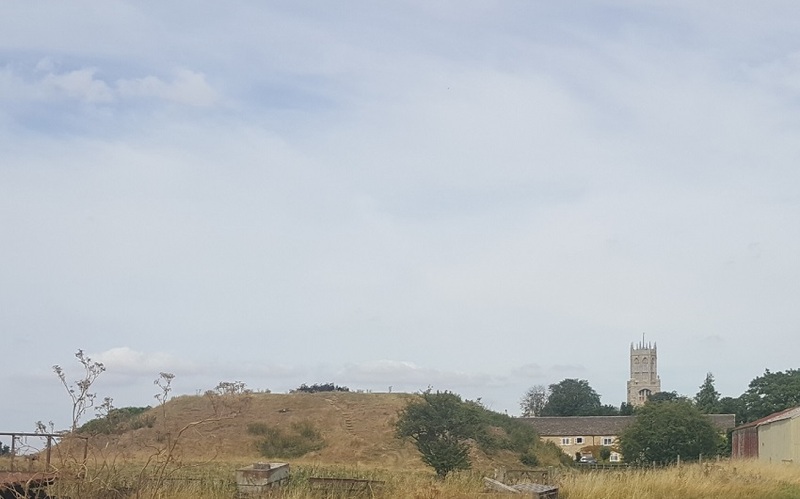 Fotheringhay in Northamptonshire was, of course, the hub of the Yorkist homelands in the Wars of the Roses, birthplace of Richard III and resting place of his father Richard Duke of York who was killed at the battle of Wakefield just after Christmas in 1460. 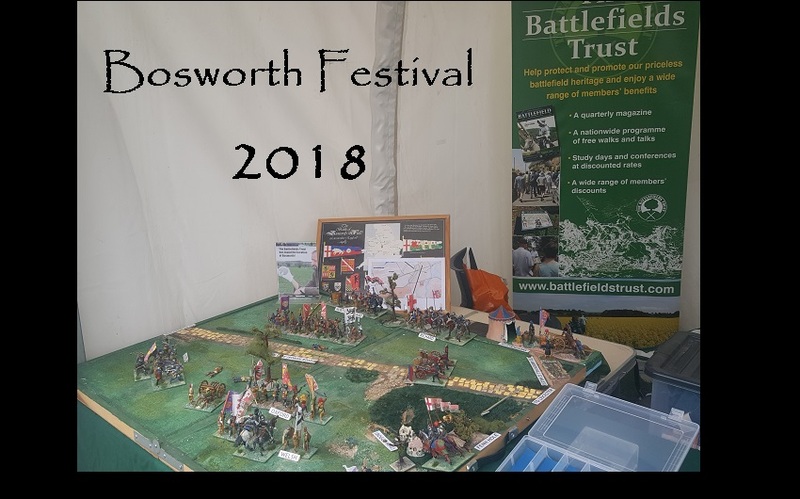 The following weekend started with setting up the 54mm DBA-based game of the battle on the Battlefields Trust stand at Bosworth. 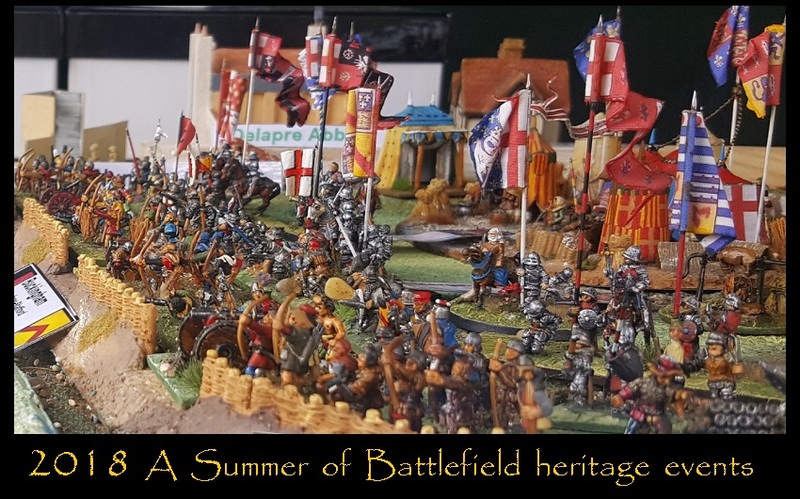 Much in the news at the moment, this battlefield needs protecting. 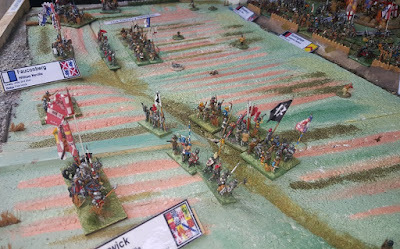 Hinckley-Bosworth Planning are considering giving permission for the construction of a vehicle testing track on what is the bottom left-hand corner of the battlefield layout above. It needs to be stopped. Here's a link to the petition. Please sign it. 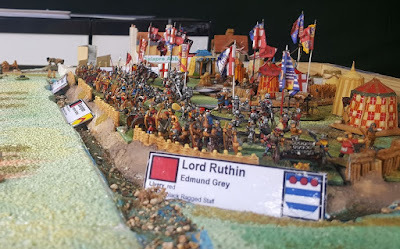 Even if you are not in the UK, your 'vote' is important ... this is a heritage site of world-wide interest (as the Richard III reburial coverage around the World showed) ..
D-Day for this is 15th September when the Planning Committee makes a final decision. I will be there putting the case for conservation and I need your support. 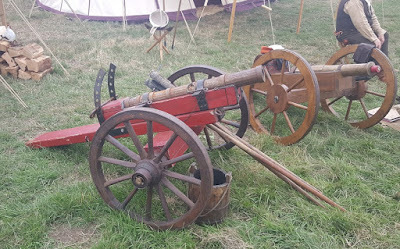 This is an important part of one of the most important battlefields in England. It is on the Battlefields Register and the associated Richard III story brings millions to Leicestershire. The issue couldn't be clearer - if you can build here then no heritage site is safe. Sign the petition. Write to your MP. ... and from Bosworth it was off to one of the Fotheringhay tours above and then to Partizan. Northampton Battlefields Society has been a strong supporter of the town's Heritage Open Days, and offered hourly interpretations of the Queen Eleanor Cross and the battle of Northampton. 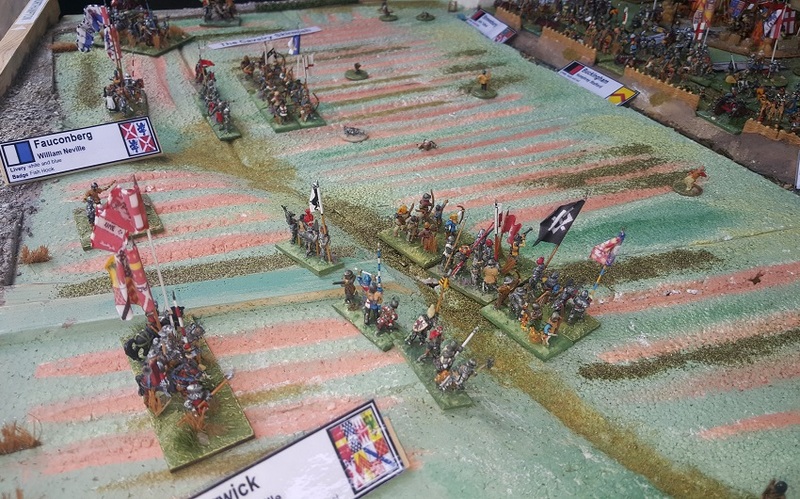 You will recall that the battle was watched from the cross and that, 9 years later, Warwick brought the leaders of the Royalist army his men had defeated at Edgcote to the cross for execution. We had to put up a gazebo on a windy Sunday morning (three people trying to hold down four wayward legs!) 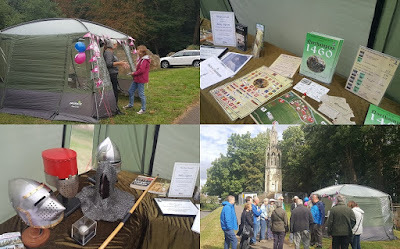 but we got there in the end - and over the weekend we were able to introduce a valuable number of new people to the views of the battlefield and the story of the cross. 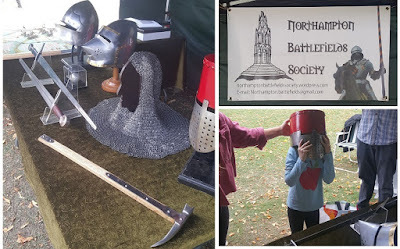 Some had come from as far away as Surrey to hear about Northampton's past. And then there was Nenefest. 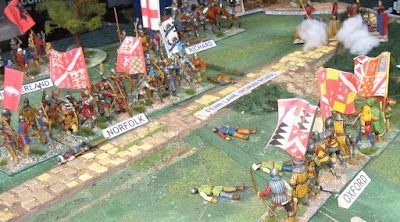 And an opportunity to get the Northampton 1460 model out. The event was not over-run with visitors but it gives me an excuse to put up some pictures of the battlefield! 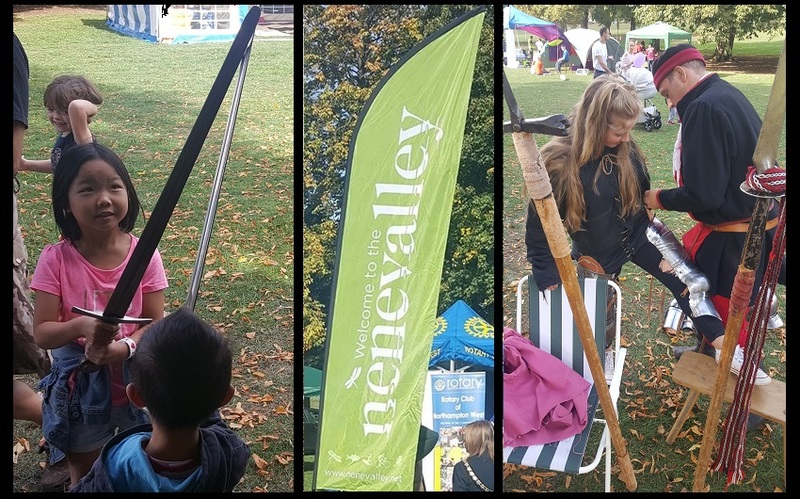 There's one more of these events to come, BBC Radio Northampton's Northamptonshire Day at Delapre Abbey on September 30th. It is usually a fantastic event and very well supported. The Battlefield Society will be there, the Shows North team will be there and we will have lots of battlefield stuff in the marquee and guided visits to the battlefield. All in sight of the battlefield and a short walk from the Eleanor Cross, symbol of Warwick's victories (and logo of the Battlefields Society). 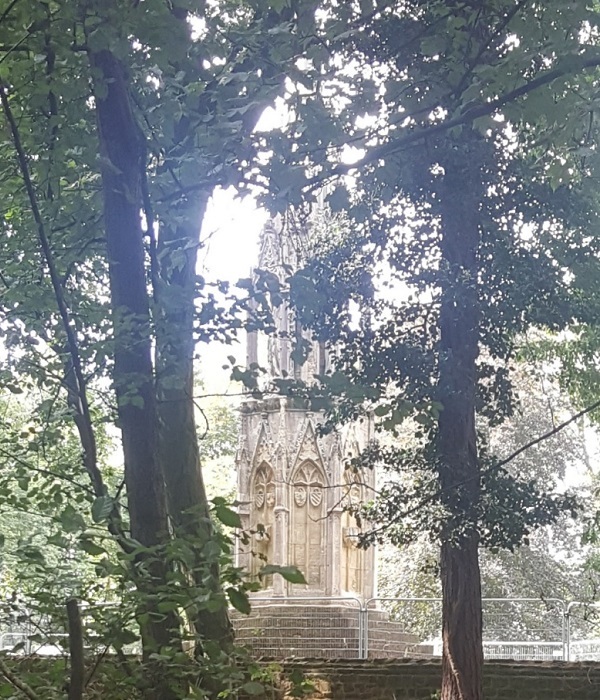 Amazingly, despite all our campaigning, it is another heritage monument at risk. It is a national treasure.